A luxury gated home with stunning gardens and views. 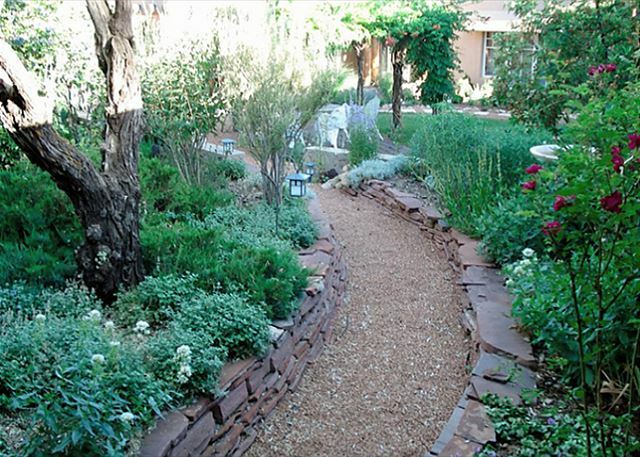 Located n the Historic Eastside of Santa Fe, just one block from the Canyon Road Historic Arts District of galleries, boutiques, and restaurants. 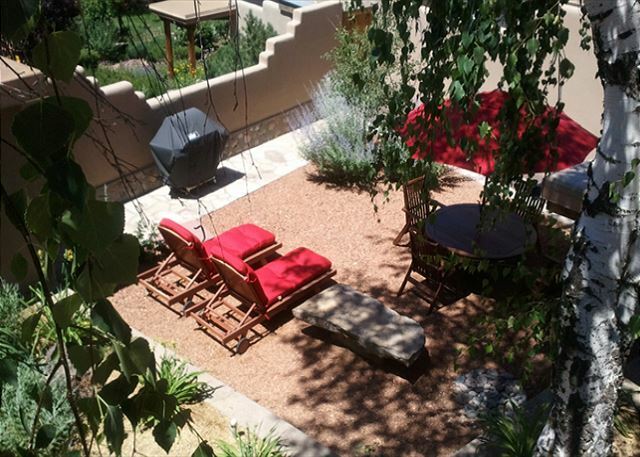 Within the gated compound of Girard Gardens, the private patio offers lazy days of sun bathing and evenings full of pleasurable al fresco dining. A stainless steel kitchen is every cook's delight with state of the art appliances. The living room and dining area share the Kiva fireplace with many hours of fun, giggles and laughter and a queen size sleeper sofa. A large open office area is quite accommodating with a comfortable wood desk, fax, internet and telephone and access to the powder room. 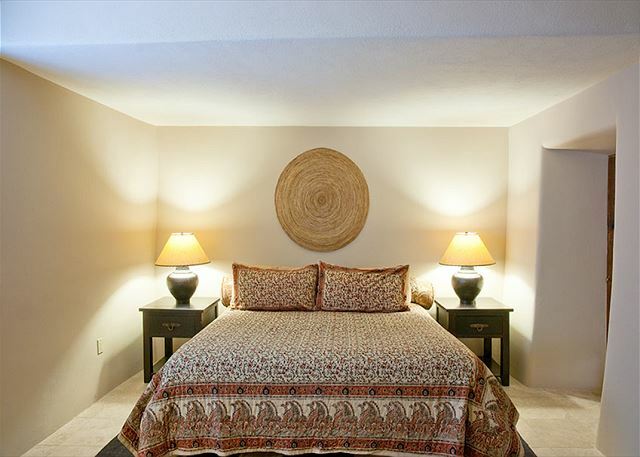 Right around the corner is the king guest bedroom with en suite full bath. This bedroom is dedicated to Georgia O'Keefe where she stayed on numerous occasions. 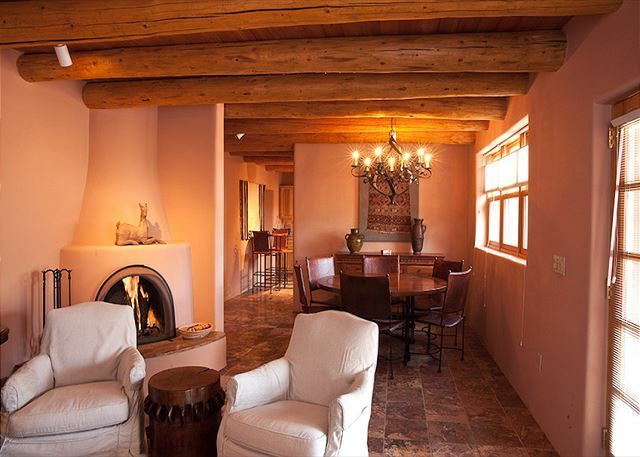 The property was owned by Santa Fe developer Alenander Girard, a famous textile designer, prolific folk art collector and supporter. Being a supporter of the arts, Mr. Girard had a special friendship with Ms. O'Keefe and when she visited Mr. Girard and his wife, Susan, stayed in the same bedroom dedicated in her name. 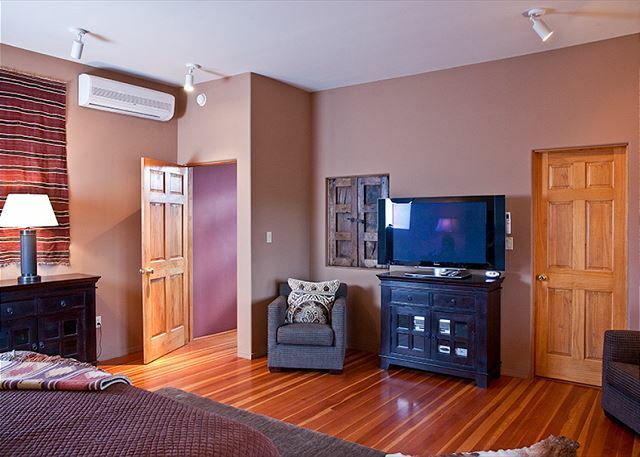 Upstairs, the large master king bedroom with en suite bath, opens to a private balcony with wonderful mountain views encompassing west-north-east views. Sleep late and wake up refreshed to the sounds of nature. 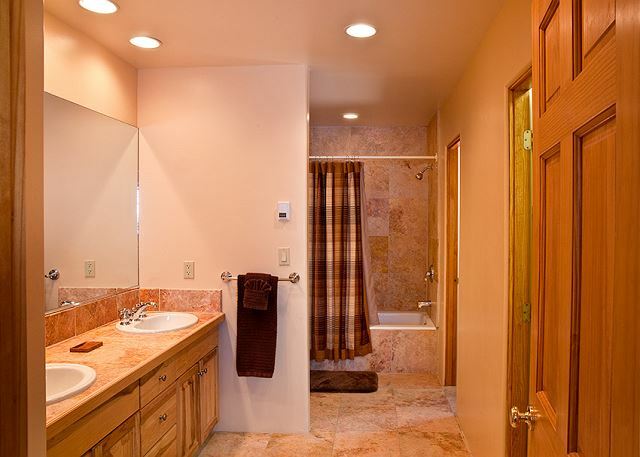 The home also comes with a large laundry room with cabinets and counter space and single car garage. Cable television and wireless internet. Approximately 2300 square feet. This was our second time staying here as a family and it was awesome. We would definitely be back. Casa Girard is a lovely place to stay. Well laid out, exceptionally clean, comfortable. 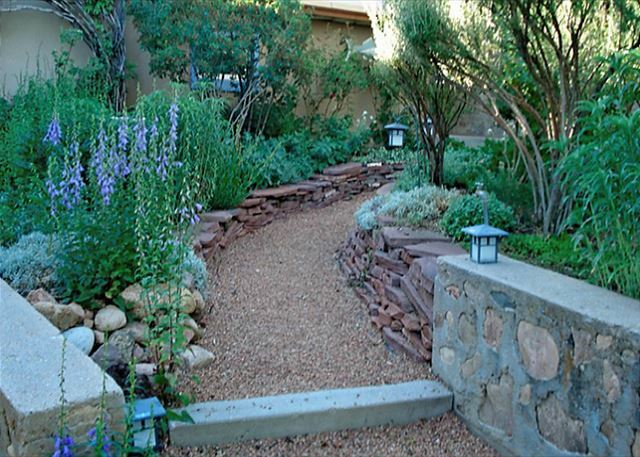 The grounds have amazing landscaping. 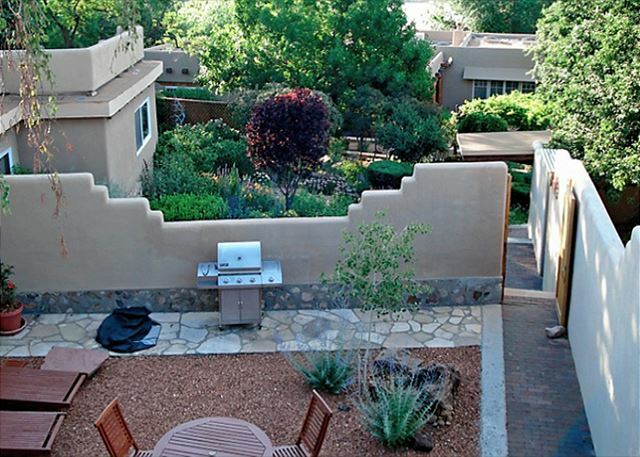 The deck from the master bedroom looks out over Santa Fe and hills. And you're a short walk from the Tea House, El Farol, Geronimo, and lots of interesting art galleries. Such a wonderful place! We enjoyed every minute of it! Location was easy to get to restaurants and shopping and also not too far from ski mountain. We will definitely remember this place to rent again!! We were there with our adult sons and dogs for Thanksgiving and had a wonderful experience. The location was close to all and in a quiet neighborhood. We have stayed at many Vacation Rentals, however this property is by far the most impressive. The pictures really don’t do justice to the property! The layout is such that it feels like a much bigger, spacious home. The kitchen had everything you would need and more. The laundry room is huge and great for storage of our travel items we didn’t want to live around during our stay. Ample supply of firewood for our fires in the cozy living room. But I’d say the best are the luxurious bedrooms and baths! So lovely and comfortable, with lux soaps and generous towels. The decor of the whole house was tasteful and well thought. All directions and descriptions were accurate and easy to follow. We were very impressed with the professionalism and thoughtfulness of the property management team. They called to welcome us and enquirer about our comfort and needs. We had an appliance issue that was dealt with immediately, which at Thanksgiving was a miracle! We have already recommended this home to our families & friends and will return in the future. Thank you Donna and team for everything! 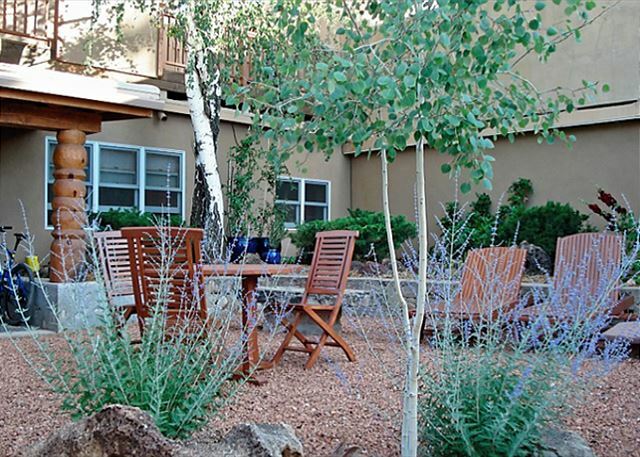 Very comfortable and spacious, this town home with surrounded by lovely gardens is the ideal place to stay if you want to spend time exploring the fabulous Canyon Road of Santa Fe, New Mexico. 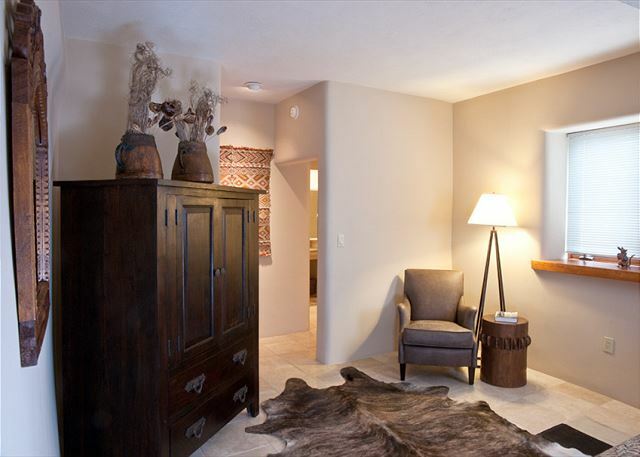 The furnishings are comfortable and there is plenty of space for storage for your travel items. 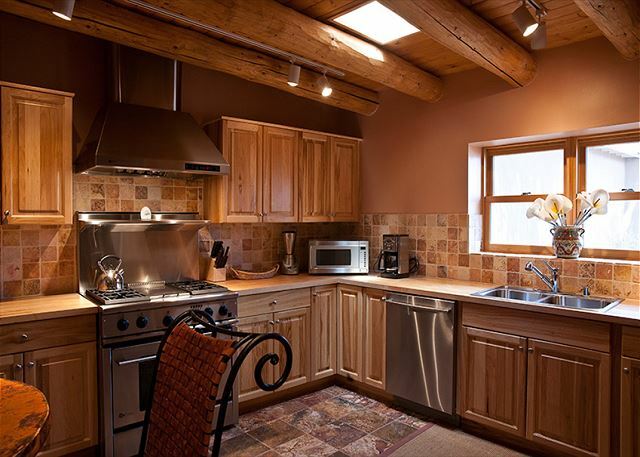 This home has a full kitchen and an excellent laundry room. This would be an ideal place for a long term stay. Thank you Anne for this great review. We aim to please!!! This was our second consecutive year in this property and we enjoyed it tremendously. Any small issue we had was promptly handled by the property manager. 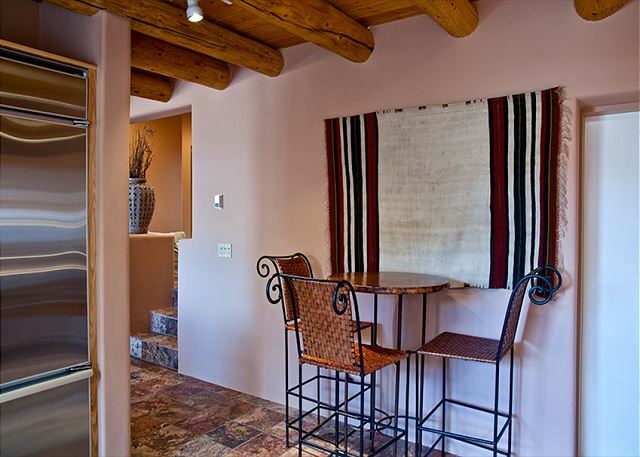 We're staying at a different property next year and we anticipate an annual stay in a Santa Fe Vacation Rentals property from her eon o ut. I loved it and I would go back. Donna was wonderful at the rental agency and addresses every concern that I had with patience and kindness. 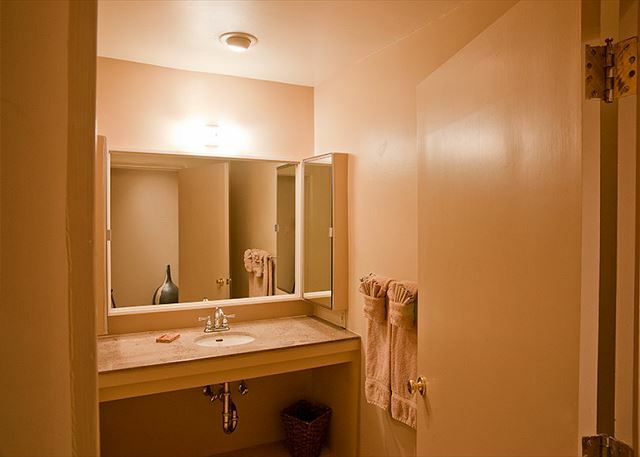 Beautiful two bedroom condo was very comfortable and in a lovely location. The interior garden of the compound is stunning and well kept. The management was excellent and very helpful. A really important feature for me is that it was quiet and very secure.